WHY: Hear from the coaches and enjoy great food from Buffalo Wild Wings! See you there – Go Rockers! WHY: Hear from the coaches and enjoy great food from Pizza Ranch South! Keep in touch with us to stay in the loop on everything that is happening in the Hardrock Club and all of the other fun events we host! South Dakota School of Mines women's pole vaulter Erica Keeble's track and field career got off to a roaring start last season. It’s an exciting time to be a Hardrocker! Your generosity to the Hardrock Club is critical to the success of our athletic programs. 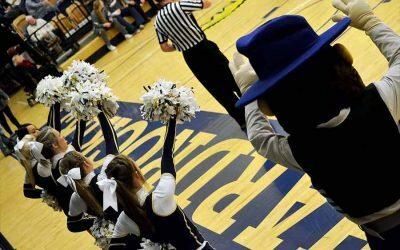 As our teams strive for excellence at the NCAA Division II level, your donation has a direct impact on the lives of the young men and women representing SD Mines and Hardrocker Athletics. For every one of our scholar-athletes, the opportunity to attend SD Mines on an athletic scholarship is their ticket to great success in life. Thank you for making a difference and generously supporting our coaches and scholar-athletes! 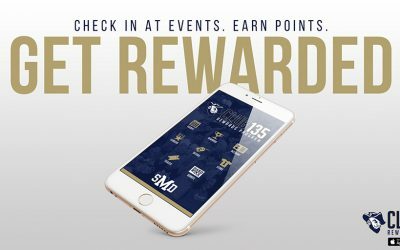 The Hardrock Club and Hardrocker Athletics in conjunction with SuperFanU has launched the new CLUB 135 app. 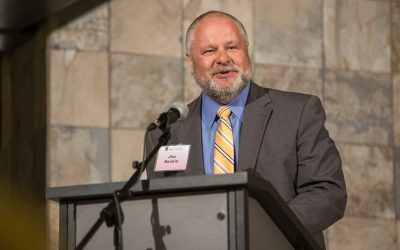 James (Jim) Rankin will return to his alma mater as the 19th president of South Dakota School of Mines & Technology, the South Dakota Board of Regents announced Tuesday. Rankin, a South Dakota native from Draper and Fort Pierre, graduated from SD Mines in 1978 with a bachelor of science degree in electrical engineering. He becomes president at the Rapid City campus Jan. 8, 2018.